Cut Point: Integer, Default: 5, Range: 2 or greater. The frame where the cut happens. Press the Find Cut pushbutton to automatically find the cut frame. Press this button to automatically search through the clip and attempt to find a cut, starting at the current Cut Frame. The frame number will be stored in Cut Point above. If no cuts are found within a few seconds, the search will stop. Click Find Cut again to continue searching. Dissolve Length: Integer, Default: 6, Range: 2 or greater. 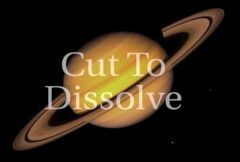 The total length of the dissolve. Half will be on the left side of the cut, half on the right side. Slow In Out: Default: 2, Range: 0.1 to 10. Set to 0 for a linear dissolve, increase to 2 for a more subtle slow-in-out transition. Gamma: Default: 1, Range: 0.1 to 10. Set to 1 for a video dissolve, increase a little for a more filmic look. This can help you find the cut frame; set it to Cut Frames to see a split-screen view of the last outgoing frame and first incoming, based on Cut Point. You can also use it to only show one side or the other, with the interpolated dissolve frames. Result: Show the result clip, containing the dissolve. Cut Frames: Show a split-screen of the two cut frames, no matter where the play head currently is. A: Show the A (outgoing) side of the cut: as if the B side were black. B: Show the B (incoming) side of the cut: as if the A side were black. Split For Cut: Default: 0, Range: -1 to 1. Where to split the split-screen view of the Cut Point, when in Show:Cut Frames mode. Normally this has no effect.